While Tara is well known as the face (and voice of Glasshouse Country & Maleny News, with her trademark smile and bubbly personality, one thing many aren’t aware of is her penchant for finding a bargain. In the office, she’s commonly referred to as our Classie Queen – and our very own Garage Sale Guru. So we decided to put Tara to the test, and asked her to share some of her best advice for just what it is that makes for a good garage sale. Make your customers feel welcome – don’t invite all your family and friends over and sit there and talk, people want to feel free to ask questions. Make your items appealing – when you are selling used goods it is always better for them to be clean and looking their best. Make it easy for your customers – make sure all your items are accessible – if someone can’t get to it, they may think it’s either not for sale, or just too hard. Make sure all sale items are clearly marked with a price – this stops people having to ask. Make it worthwhile – think about how much you are willing to let the item go for and add a bit extra on for negotiation..
Make prices reasonable – don’t ask ridiculous prices if you aren’t willing to negotiate. So the next time you want to advertise a garage sale, or an item to buy or sell, give Tara a call. Not only can she help you word your classified in the most economical and effective way, she knows what works. 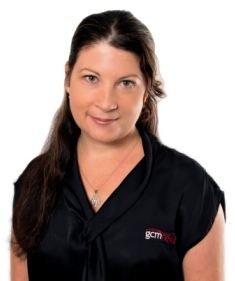 Give her a call on 5438 7445, or email reception@gcnews.com.au.